These two little kids just came home after playing in the park. Both are very hungry and are demanding their Granny to make something yummy. Granny has decided to prepare delicious “Baked Ziti” for these two adorable kids. Granny is well aware that kids love this lip smacking dish very much. 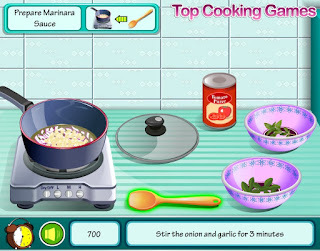 Help Granny to make this yummy “Baked Ziti” by following the simple instructions in the game. Try to complete the recipe before time runs out as kids have to leave for their music class after having a meal.